Keith and I recently enjoyed the Newport Beach Christmas Boat Parade. We boarded a 3-story yacht and floated down Balboa Bay. Mansion lights and store lights framed the dark bay. Eventually, a rainbow of lights greeted the boats in the middle of the bay. 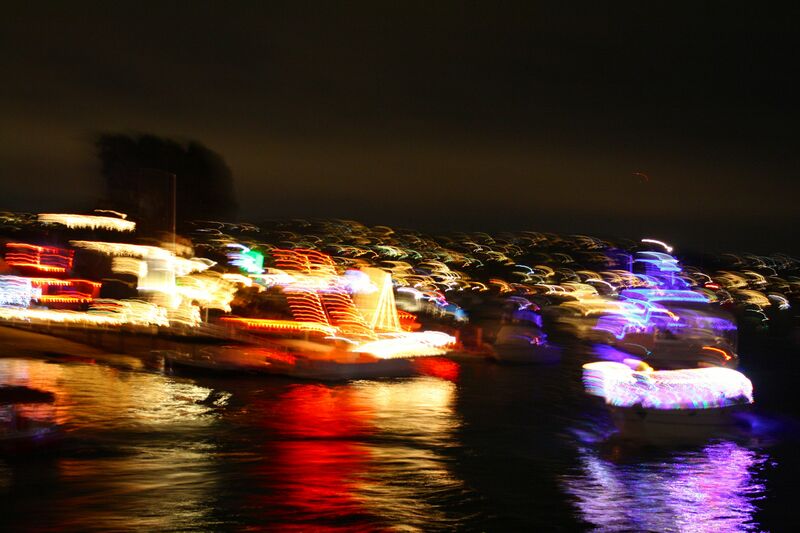 Red, green, purple, pink, and yellow lights flashed to the beat of music as the parade boats circled us. Colors and flashes melted into each other witb the movement. One day, Jesus stepped out of eternity into time to dwell with men and women. This Light of the world walked among men and women, and they watched Him as He turned water into wine, healed the sick, opened blind eyes, raised the dead, calmed the sea, and fed the thousands. They observed the Light, the colors of His glory, but like the time lapse of photography, the colors and light blurred into a beautiful vision – a colorful tapestry of purity and glory that they loved to be around. Yet, they did not comprehend this Light, this glory. Not until His work was finished on the cross and He was raised from the dead were men and women able to understand this Light. The Light of the world came to offer eternal life with Him – a free gift. The gift of Christmas. The gift of the Light of the world. Father of Lights, we want to behold Your Light in the beauty of Your holiness. Bless us, O Lord, with understanding, so that we can enjoy and share Your Light with others, as the Light pierces our darkness.